Quickly run and re-run reports without the need to re-process all the cases each time. Have the appropriate tools to empower decisions from asset teams to executives. Leverage the advanced power of analytics applications to enable insight and informed decisions. 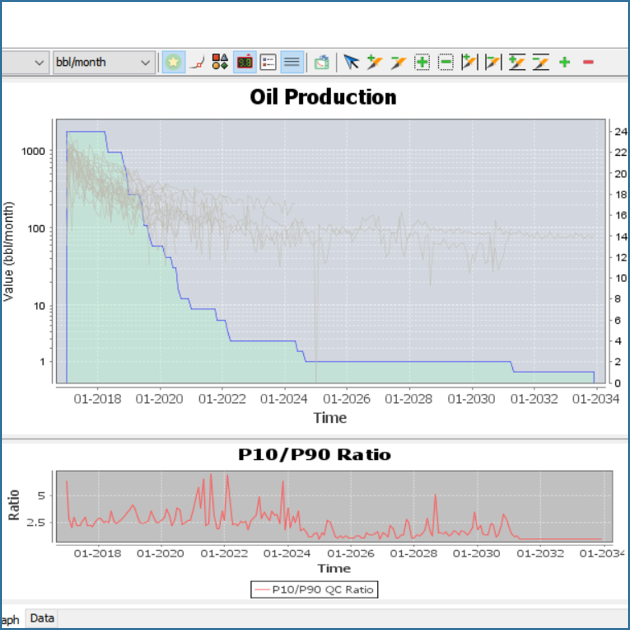 For 40 years the high-performance economics and database engine inside R3 Economics has been trusted to deliver accurate and consistent results by some of the world’s largest oil companies. The re-architected and re-designed user experience adds new levels of customization, productivity and analytic analysis to economic and reserves management. Review previous forecast vs actual production. 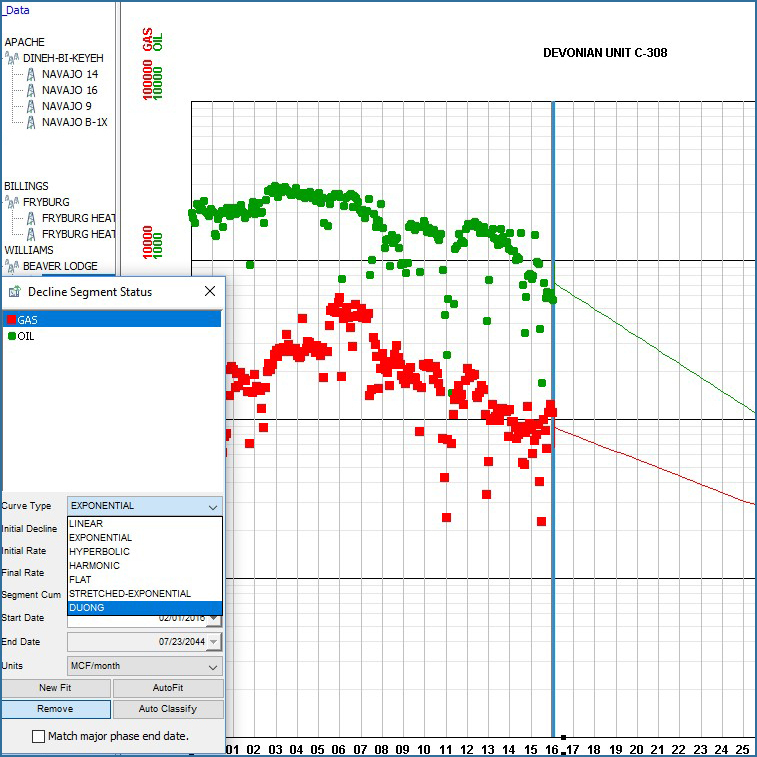 Create conventional and unconventional decline curve forecasts using Arp’s, Doung, hyperbolic, stretched exponential and other methodologies. Define auto reversion from hyperbolic. 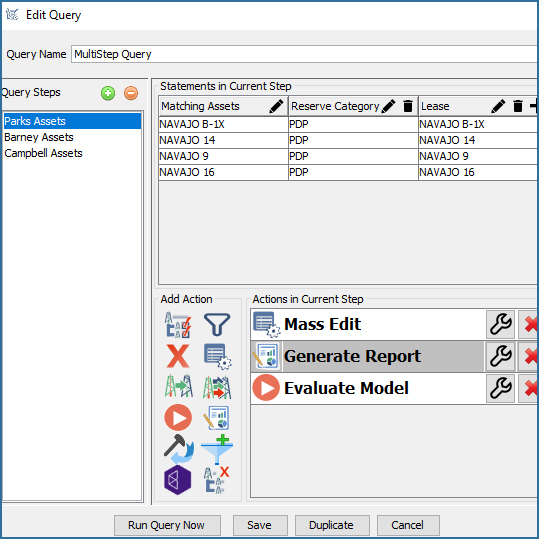 Quickly switch among multiple analysis templates. What are the key risk factors which impact your company's projects? How could prices, costs, etc. derail your plans? What can you do to mitigate the risk? Create risked financial and production forecasts and evaluate project KPIs.